Some details to whet your appetite! 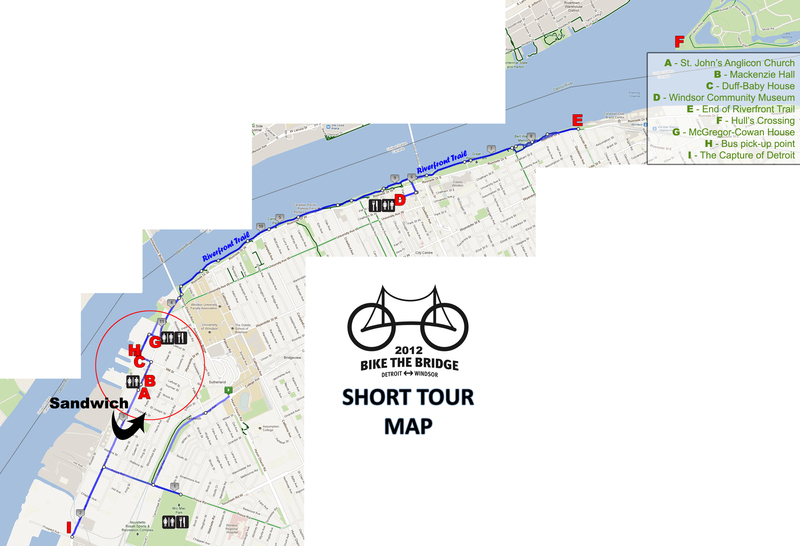 Registration for Bike the Bridge 2012 is now open! Click here to register online! The Ambassador Bridge has again given us access to a prviate parking lot located just west of the Bridge entrance. Parking is available at the Ambassador Bridge lot located on Huron Church Road across from the bridge’s exit/customs plaza. This turns into a one-way street just before the parking lot so you must access it from Riverside Drive, University Avenue or Wyandotte Street. Regardless of which of these cross streets you come from, turn south onto Huron Church Road. 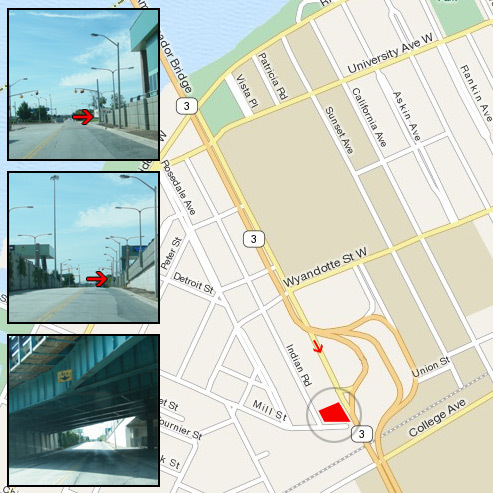 Just past Wyandotte you will drive under the Ambassador Bridge and you will see a plaza on either side of the road; just past that are some overhead lights and immediately to your right there is an entrance to the parking lot (just where the concrete wall ends). Pull in and lot attendants will have you park at the far end of the lot. Because the street is a one way and is near the bridge, there is no sidewalk to enter from the south side. If you are arriving by bicycle and are coming from the south side, you must go around via Indian Road (there is a pathway just past the McDonalds) or via Wyandotte. We look forward to seeing you Sunday morning for this great event! If you have any questions my number is 519-945-3372 and cell is 519-890-3159.